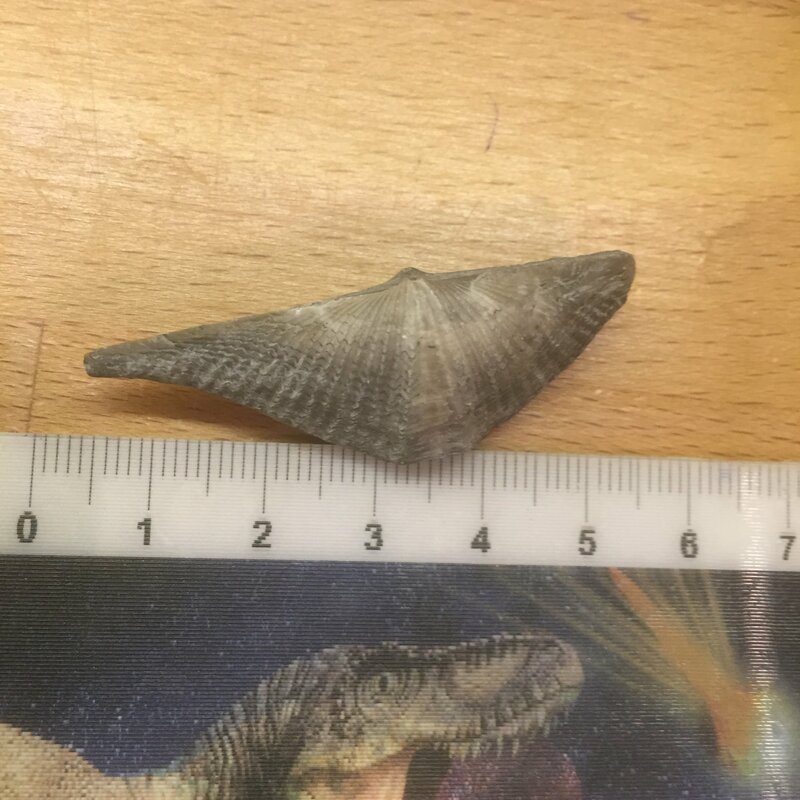 Nearly forgot to post this little beautiful dude in the Fossil ID section. I got this as a gift from the Geo-Oss fair some time ago. 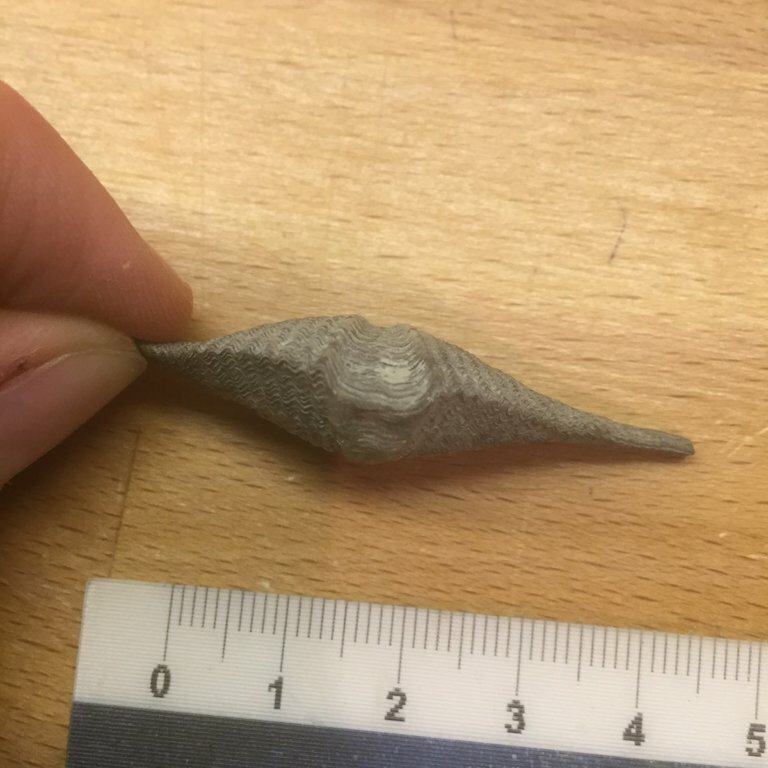 The only info I have on this little spiriferid brachiopod is that it’s from Canada. Now, this is probably a long shot, but I was wondering if anyone maybe recognized which location, formation and age correspond to this little dude? If the species is also recognizable that’s awesome. 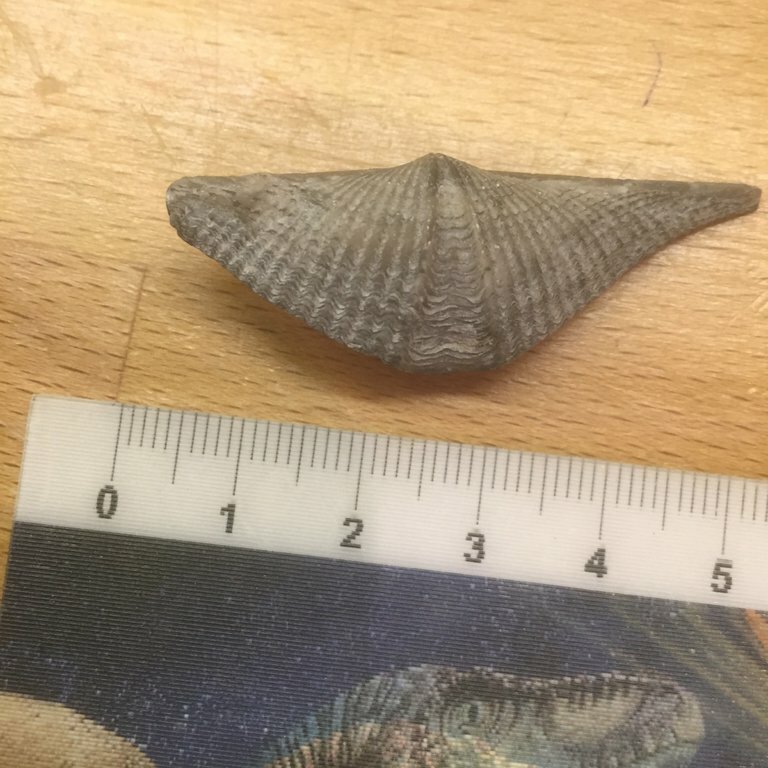 There were a LOT of the spiriferids in that box, all seemingly of the same species, so it’s a location at which these brachiopods are common. Anyone have a clue? Maybe one of you guys @Tidgy's Dad @Wrangellian @Peat Burns? I encounter thousands of these in the Mid-Devonian of the Widder and Arkona Fms in Ontario, particularly at Hungry Hollow. Either Mediospirifer or Mucrospirifer... can’t recall which at the moment. If you ever find yourself in Ontario, I would love to take you there. You could fill buckets with these (among other things). Mucrospirifer mucronatus in my opinion. Tillman (Variation in Species of Mucrospirifer from Middle Devonian Rocks of Michigan, Ontario, and Ohio Author(s): John R. Tillman Source: Journal of Paleontology, Vol. 38, No. 5 (Sep., 1964), pp. 952-964) recognized Mucrospirifer mucronatus and Mucrospirifer thedfordensis as distinct, based on internal structures. Mucrospirifer arkonensis is quite different, as it has very wide "wings" that taper gradually towards the tip. Both Mucrospirifer thedfordensis and Mucrospirifer mucronatus taper quickly and then the hinge is projected out a long distance as needle-like extensions. So this looks like a M. arkonensis, Don? M.arkonensis is usually larger and as Don mentioned, the wings gradually taper to the tip. They are not usually found in this condition matrix free. M.thedfordensis can be collected by the 100's in this condition. The really nice ones are still in matrix and will have the pin-like tips still attached. Unless someone beats me to it, I'll try to remember to add a couple pics tonight. Unless someone beats me to it, I'll try to remember to add a couple pics tonight. It looks to me like the specimen in question tapers toward the tips as per Don's description. By contrast, Kane's specimen above has the pin-like extensions. Confused, but I'll take your word for it. Not my pic, but hopefully this helps. The guru of all things Arkona did tell me that, despite differences, they should all be called M.mucronatus now or at least M.mucronatus var. arkonensis/thedfordensis. Thanks everyone a lot for the help! Mucrospirifer arkonensis is quite different, as it has very wide "wings" that taper gradually towards the tip. They are not usually found in this condition matrix free. M.thedfordensis can be collected by the 100's in this condition. 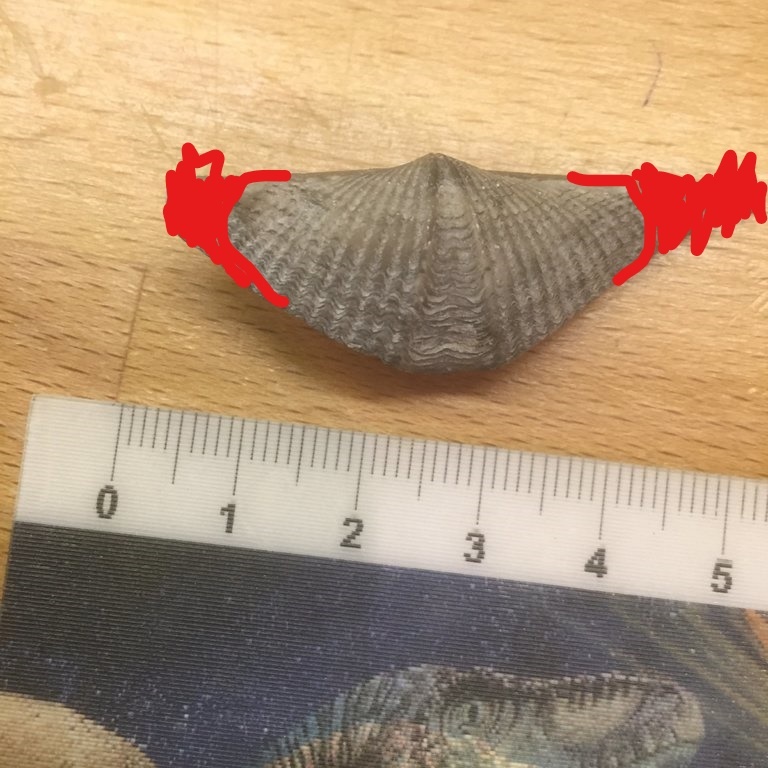 because in the box there were A LOT of very similar brachiopods all together. All were matrix-free. Now maybe someone went through the trouble of prepping each one of them, but that would really surprise me. 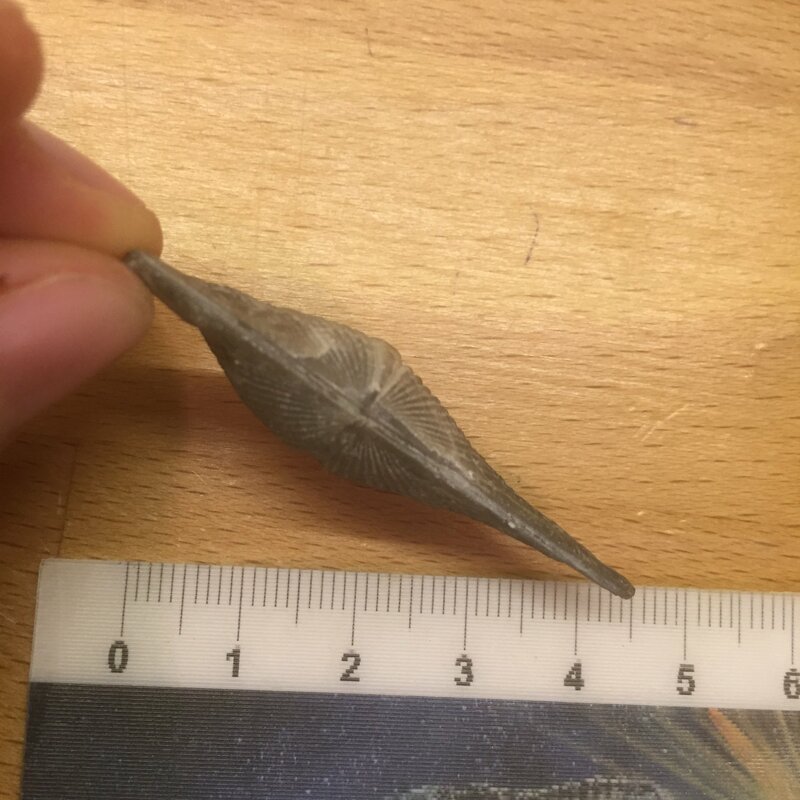 So maybe all the others were M. thedfordensis, but with the tips broken off, which would explain your comment. But if all are more likely to be M. arkonensis, then your statement is maybe wrong. I'm far from being an expert on the subject, which is why I don't wanna take any conclusions yet, but I'm just trying to understand more based on what I already know and saw. By the way, would you guys think it's a good idea to put this as location/geology info? If you ever find yourself in Ontario, I would love to take you there. You could fill buckets with these (among other this). That would be awesome, thanks! I've heard so many great things on this forum about the Canada locations, I would love to go there someday! I'm probably not the only European that dreams of one day doing a giant road-trip/tour of North America, to discover all of its scenery, people and nature (and fossils!!!). With a lot of luck, maybe I'll find myself a year where I can afford to do such a thing!